With summer officially here and vacations finally arriving, you may be hitting the road in your convertible taking in the sun and wind. But as we all know, the suns damaging rays can fade and deteriorate any goods that sit in the sun for periods of time. You may notice that your convertible's roof is not looking as good as it did in summers past. Here at Furniture Clinic, we want you to hit the open road with not only your interior looking great, but also your roof top looking great as well! You never know when you'll need to quickly put up your top so don't be embarrassed by how it looks. Follow these steps on how to restore your convertible top with our Convertible Roof Restoration Kit, and show off your car no matter if the top is up or down! The first step in restoring your convertible roof is to thoroughly clean the area with our Fabric Cleaner & Spotter. 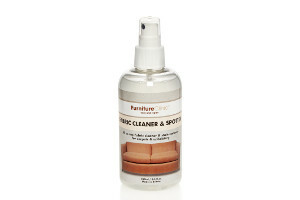 Spray our Fabric Cleaner & Spotter directly onto your convertible roof and soak the area thoroughly. You will then agitate the roof using our Tampico Brush, and let sit for 10 minutes. After letting sit for 10 minutes, take a clean cloth and wipe the roof down to remove any dirt or grime. If there are any buildup of dirt or mold on the surface of your roof, we advise to scrape off the buildup gently with a paint scraper. Apply our Mold Remover over the complete surface of your convertible roof to eliminate any unseen mold spores from the roof. 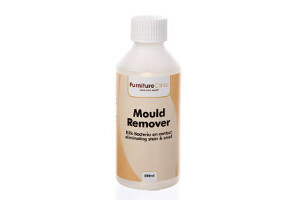 We advise to apply and clean any area with visible mold thoroughly with our Mold Remover. This will also prevent future mold from being able to grow on the surface of your roof. After applying our Mold Remover, wipe any excess off the roof of your car with a clean cloth. You will want to thin the FabriCoat down with Penetrating Solution using the bucket provided, this will help penetration into stubborn fibers. We recommend using a ratio of 1 part Penetrating Solution for every 2 parts FabriCoat. 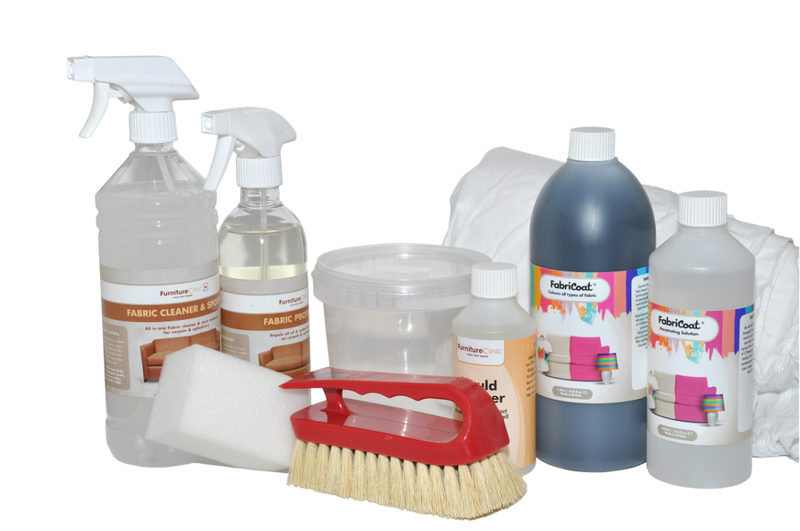 We advise to applying our FabriCoat with the sponge and cloth provided in the kit. You will wrap the sponge with one of the cloths provided and dip into the bucket of FabriCoat. Apply the FabriCoat thoroughly to the entire roof of your car with the sponge/cloth applicator to ensure the color has penetrated the surface of the convertible roof. IF NECESSARY: If you are changing the color of your convertible roof, apply a final coat using our FabriCoat Sprayer or Airbursh to ensure that the original roof color is thoroughly covered. Once the surface is dry, you will then apply our Fabric Protector to help protect the newly restored convertible top. This product with also repel all liquid and oil from penetrating the roofs surface. To apply, you will spray a generous amount onto the entire roofs surface until the roof has dampened. 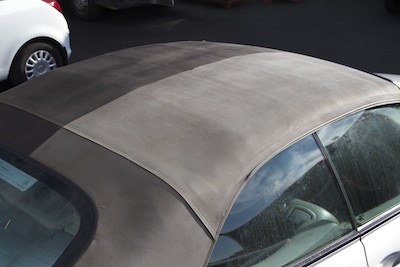 Once the Fabric Protector dries, your newly restored convertible roof top is completely protected from the elements! Now you can show off your car with both the roof up or down! Happy road tripping!